When we need integration services? While disparity or gap comes between two applications in that case integration works like a bridging or creating connection. We “Navision India” have the ability to create business logic for communication. How is it possible? 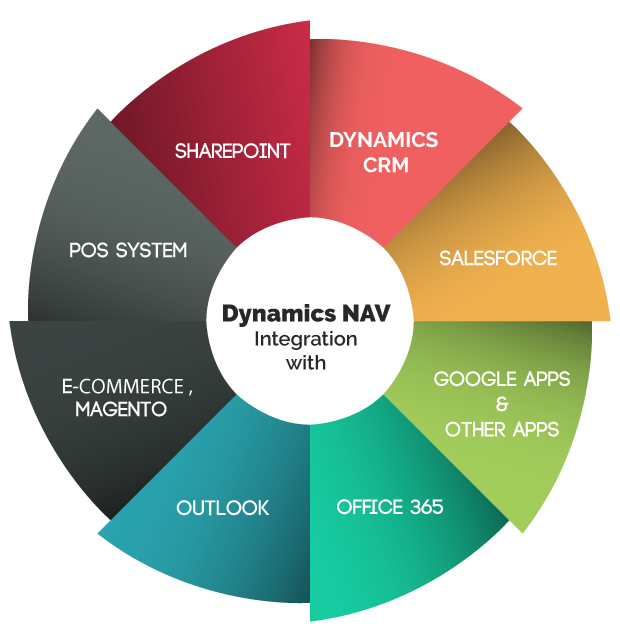 – Just because of Microsoft Dynamics NAV Integration. Through the Integration of NAV with other Application, you can get automated instead of manual procedures and minimized the risk of errors. Third party integration just for your convenience nothing else. There are couple cases where you required integration services such as – easily exchange data with other applications, for time saving, reducing errors, minimizing manual processes, etc. Navision India is expert in integrating and making your business solutions are immensely easy so that all the business users can conveniently work with them effectively, rapidly and efficiently without any hassle. To get more information about NAV Integration with Third Party Applications, contact to us.